In December 2006 more than 130 South Africans went on a 2 week tour through 5 countries in the Middle East. After the previous 6 days in Egypt and Jordan we would be on our way to the highlight of the tour. At 07:30am we left Amman for the border to enter Palestine. We expected a 1 or 2 hour delay. Not a 10 hour delay until 21:55, a few minutes before the Israeli manned immigration facility closed to get permission to enter Palestine. I am glad I carried some donuts with me as there was no food available. There was even a fake bomb scare where the Israeli soldiers made us leave the building, just for kicks. The elderly members in our group were allowed to leave on 1 bus after 5 or 6 hours for Jerusalem where they visited Masjid al Aqsa for night prayers and visited the Mountain of Olives. Myself and the 2 other buses of younger people only reached the hotel in Jerusalem after midnight. Thankfully the hotel is used to receiving guests at odd times (due to immigration hold ups) and served us dinner at 12:30 am. Because it was Christmas Eve we ate turkey. At 3:30am with less than 2 hours of sleep we were on the streets again, headed for Masjid Al Aqsa. We thought that it was time for Fajr (morning prayer) but instead it was the call for Tahajjud (late night prayer). 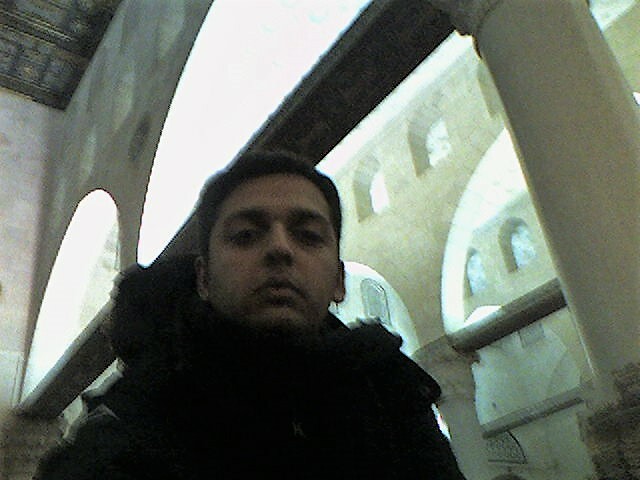 Just outside the Masjid at a security control post an Israeli soldier made me prove that I am a Muslim before letting me through (I had to recite some Quranic verses). 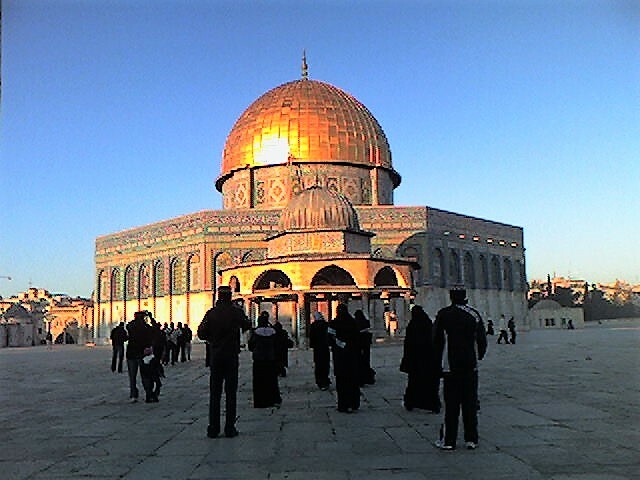 Masjid al Aqsa is the 3rd holiest site in Islam. It used to originally be the direction all Muslims turned to for prayer, before God required Muslims to pray facing the Kaabah in Makkah. There is so much special significance on this site spanning thousands of years and we all felt so fortunate to be there. It was quite cold that morning (single digits Celcius). After the morning prayers we were given a tour of the site. 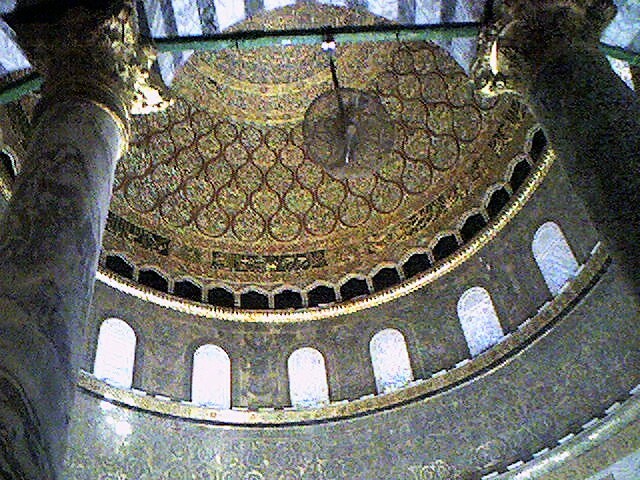 This is the Dome of the rock which occupies a small portion of the entire Masjid site. An hour or so later we returned to the hotel for breakfast and check-out. Thanks to Israeli immigration I only managed to sleep in that hotel for 2 hours. We proceeded to the West Bank where Palestinians are isolated behind the Apartheid Walls that Israel has forced on them. May God grant freedom to the Palestinians and all people who are living under oppression. We then visited the Omar bin Al Khattab mosque in Betlehem where Christian Palestinians are also living with restricted rights. We were visiting Betlehem on an important day: Christmas. We then visited Hebron before making our way back to the border on Jordan, to our hotel in Amman for the night. 1. Were you not scared to be in Palestine knowing that they are attacked so frequently? 2. 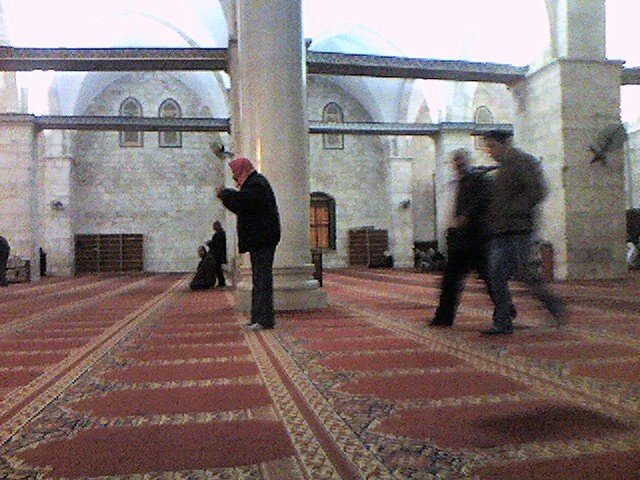 What was it like to be at Al Aqsa mosque? 3. Did you get to speak to local Palestinians? 4. How did you feel as a South African, seeing the apartheid wall knowing that this was the same fate of non white South Africans?